As part of my preparation to work on this blog series for Blue Star Families, I reviewed their free e-book Everyone Serves, for which the blog series is actually named. I have to say, I was pretty impressed. Everyone Serves covers a lot of really useful material in a straight-forward, easy to understand way. It's definitely a helpful deployment resource for me, so let me break down five reasons why I think it would be a great resource for you, too. 1. It's FREE. One of my law associates used to always say "If it's free, it's for me." Well, that's the great thing about this book. No matter what your budget constraints, the price is definitely right. 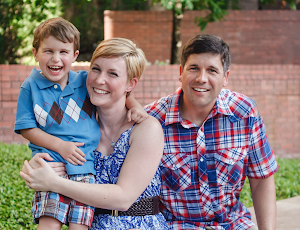 Blue Star Families wanted to make Everyone Serves as accessible a resource as possible. That's why, whether you download it from BSF, Amazon, or any other e-book resource, there's no charge. 2. It's interactive. There are actually two versions of the book that are e-reader compatible. One is a straight-up book, while the other has interactive components like video segments. (There are also PDF and web versions for anyone without an e-reader). In either e-book version, you get a hyperlinked Table of Contents so that you can locate and easily navigate to particular information you might be looking for. Everyone Serves also provides a number of worksheets so the reader can put the book's information into practice. And the Everyone Serves website is enhanced with video and additional resources. 3. It's a great place to start. This book does not pretend to be "THE" resource for deployment. That's what I like about it. The authors of Everyone Serves understood the breadth of the information the book would cover, and that it would be impossible to fully explore each topic. But the book is a really great starting place for learning about deployment for two reasons. First, it assumes no background in the military. Any person can read and understand what the book is saying about the topics it covers. Second, many of the chapters include additional resources readers can go to for more information on a particular topic. 4. It spans far more than just the deployment. 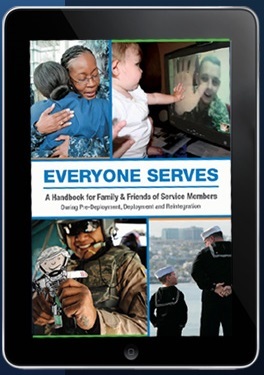 The Everyone Serves book includes three sections that are deployment-specific--(1) pre-deployment; (2) deployment; and (3) reunion. But the book doesn't stop there. It also contains a detailed section on reintegration that covers the process of returning a soldier back to every day life, and the challenges that a family might face in doing so. And the final section of the book covers care-giving, that is, taking care of a returning soldier that may be coming home with physical injuries, psychological injuries, or other issues that require specialized attention as the soldier acclimates to life after deployment. 5. It crosses 'the Divide.' 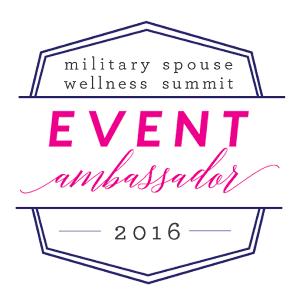 Certainly, Everyone Serves is a resource for military spouses and military families. But it's not just for military families. Everyone Serves is also a great general resource for friends, civilian members of military communities, or anyone who wants too learn more about how to support military families before, during, and after deployment. This book is written with a universal audience in mind. In fact, the gap-bridging nature of the book is part of the reason why Blue Star Families is also doing this blog series. They wanted to provide some personal voices to go with the information, to make it relatable, and to engage an audience of our peers, as well as the community at large. So there you have it. If you are looking for a place to start reading about deployment, this book is for you. If you're looking for a place to find additional resources on particular topics, this book is for you. If you are looking for a way to understand how to help military families through deployment and beyond, this book is for you. And, in case I didn't mention it, the book is FREE.